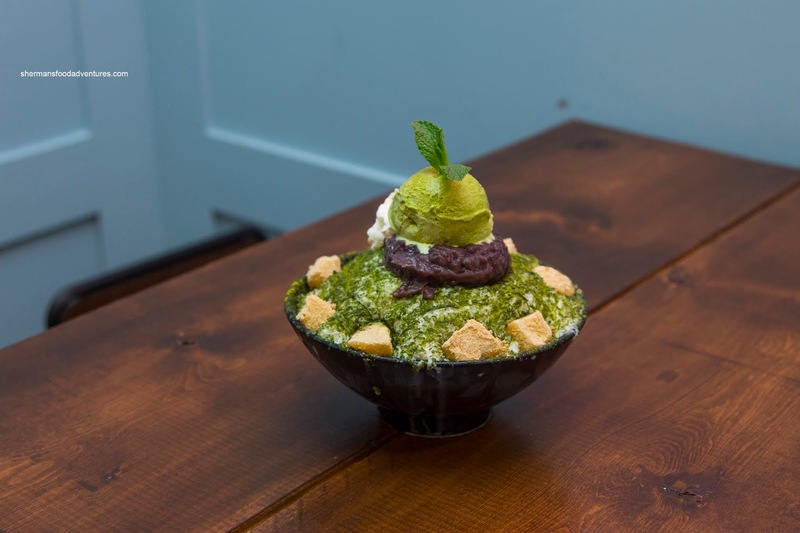 After the initial onset of Korean Bingsoo in the GVRD started mostly by Snowy Village, there was a rash of similar joints opening up such as Sulmida, Passion8 and My Frosty. 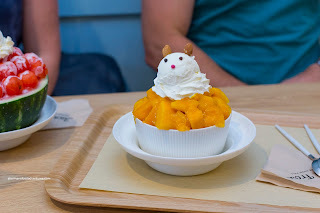 Let's not forget one could get this at Midam as well including a few lesser known places. Then all-of-a-sudden, there has been a lull of sorts when no new places entered the scene. However, with anything that is hot, there will be a rush of imitators (think Poke...). 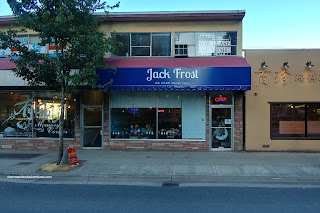 One of the newer spots is Jack Frost in Richmond, which I visited several months ago, but never go around to blogging about it. We dropped by recently, so it was a good time to finally write it up. My initial visit was when it first opened with Joyce, Nora and Lesley. We ended up trying 2 of their bingsoos including the Matcha Red Bean and Mango. First and foremost, I found the sizing to be on the smaller side when compared to places such as Snowy Village and My Frosty. However, with that being said, they were still more than enough and they didn't skimp on the ingredients. I found the matcha to be good with enough tea flavour without being bitter. The ice itself was light and just sweet enough. Of course I'm biased towards My Frosty and their flavoured Bingsoo, but this was good nonetheless. 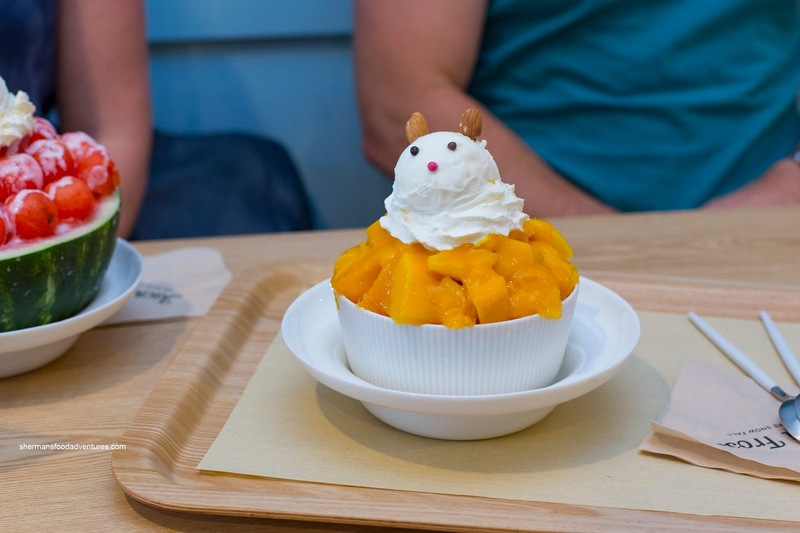 Originally, when we had the mango for the first time, there was cheesecake, but the second time, there was none. Mangoes were ripe and plentiful though being layered underneath the snow as well. On our second visit, we did got the Strawberry and it did include a slice of cheesecake. 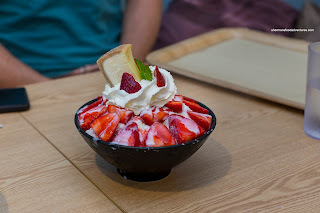 As such, the bingsoo was more "filling" and less light to eat. However, I love cheesecake, so I much prefer it being there. Similar to last time, the milky snow was fluffy and light while not overly sweet. That was a good thing as the strawberries and condensed milk ensured there would be more than enough flavour. 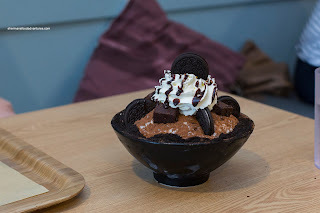 For the kiddies, they wanted the Oreo Bingsoo over the dipping dots, so we didn't get the dipping dots... :( Anyways, this was good too being overloaded with whole Oreos and layered with even more bits underneath. To top it off, there was Oreo dust on the sides and little brownie bites. This ate a bit sweeter due to the inclusion of so many Oreo components. 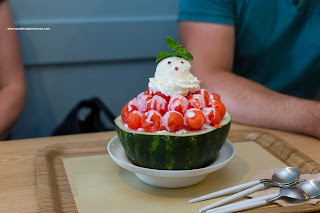 We also got a seasonal offering in the Watermelon Bingsoo served in a half-watermelon. 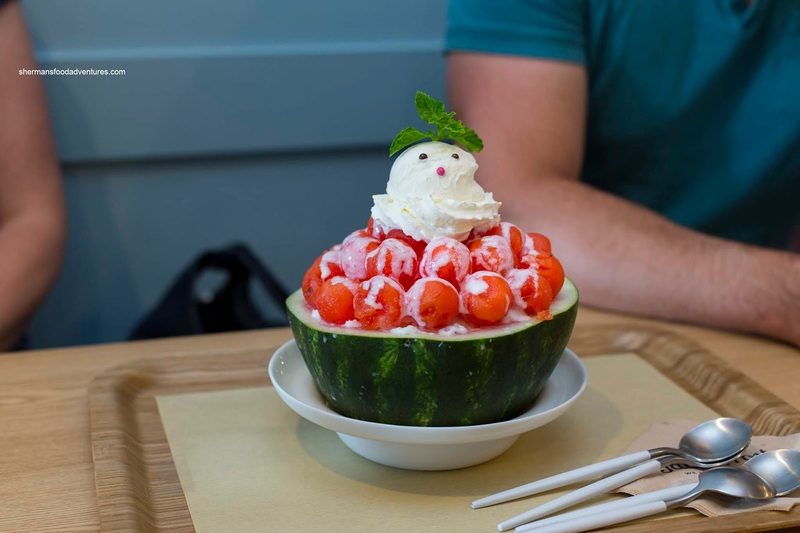 It was topped with melon balls, ice cream and condensed milk. Due to watermelon being mild-in-taste and well, watery, this was very light and refreshing. The ice cream was necessary in bringing more sweetness to the table. Overall, we enjoyed the bingsoo at Jack Frost and it is definitely a good addition to the existing spots in town. Despite the smaller portions, the quality is there.